Review: "Haken: Vector" - Sea of Tranquility - The Web Destination for Progressive Music! 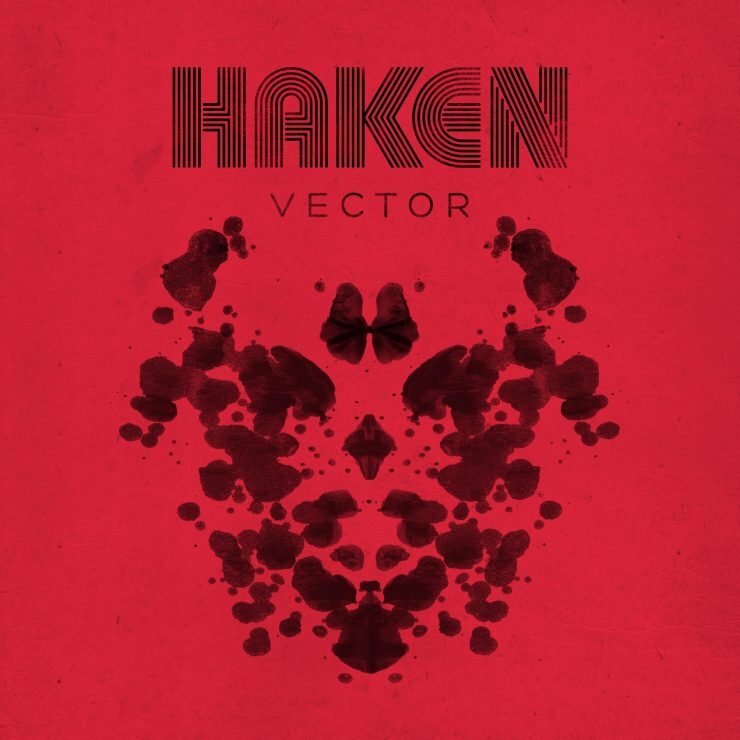 Vector is the fifth studio from London's progressive metal stalwarts Haken, a band who have been fairly prolific since emerging on the scene in 2010 with their brilliant debut Aquarius. This album comes on the heels of the majority of the band taking part in Mike Portnoy’s Shattered Fortress tour, where the guys helped Portnoy relive some of this Dream Theater past for a lengthy jaunt to various venues around the world. Back again on their own now, Haken have reconvened and delivered another stunning album of melodic prog-metal that's long on hooks as well as their trademark musical virtuosity. After an opening synth led instrumental barrage, the group jump in with the catchy "The Good Doctor", a churning, hook laden rocker chock full of potent Ross Jennings vocals and some super crunch courtesy of guitar duo Charlie Griffiths & Rich Henshall. "Puzzle Box" again sees Jennings soaring to the heavens, Conner Green's bulbous bass lines locked in with Raymond Hearne's gymnastic drumming, the guitars shredding and Diego Tejeida's keyboards majestically creating the right amount of atmosphere. A good amount of electric drums and synths during the spacey middle section on this one, adding a cool modern, ambient feel that changes things up a bit before the rampaging metal attack comes crashing back in. The epic 12+ minute "Veil" appears at the mid-way point of the album, and features guest guitarist Pete Rinaldi, adding his talents to this tumultuous track. Some blazing guitar & synths solos to be found here, perhaps the influence of playing with Portnoy seeping into the music a tad, but as Haken always seem to do, look for plenty of their trademark hooks and atmospheric interludes. A great track! "Nil By Mouth" is an absolutely scorching instrumental, the complex passages of guitars & keys weaving around each other with the bass and drums equally dynamic...killer stuff. Things settle down for the gorgeous "Host", as gentle piano, acoustic guitar, and guest flugelhorn from Miguel Gorodi lend some tranquil elements over which Jennings lays down his heartfelt vocals. Don't get too settled in though, as the band tear it up on the raucous closer "A Cell Divides", a bombastic yet highly melodic number with jackhammer rhythms and layer upon layer of crunchy riffs and dazzling synths. It's a fantastic ending to another impressive album from Haken. The tail end of 2018 has seen some outstanding progressive metal releases from Seventh Wonder, Tomorrow's Eve, and Michael Romeo, and you can add Haken's Vector to that list. The 2CD set also features instrumental versions of all these songs, which is something InsideOut seems to like doing these days, but omitting Jennings' excellent vocals from these songs are probably only worth a listen or two at most. His contributions greatly help what makes this album so damn good. Highly recommended! It’s been a great year for London based progressive metal band Haken. First came their excellent live album L-1ve and more recently their latest platter titled Vector. I still remember my first time hearing their 2010 debut Aquarius and being blown away by their musicianship and song craft. Then came Visions in 2011, both discs released on the Sensory label. Maybe not as solid as the debut but an excellent disc nonetheless. The Mountain (2013), Affinity (2016) and now Vector, just a fabulous run of albums. So how does Vector measure up to the band’s previous output? I say extremely well. All of the band’s signature sounds are present; insane musicianship, dynamic rhythmic shifts, tempo changes galore, excellent vocal arrangements and good melodies. Plus the band adds some new elements like electronica and jazz. The story behind the music deals with a patient in an insane asylum who undergoes what amounts to torture as his treatment regime. It’s a dark story and something a little different within the progressive genre. The disc starts with the short “Clear” and its waves of distortion and ominous cathedral-like organ. The band does a great job of transporting the listener into the album’s theme. This leads directly into “The Good Doctor”, just a fabulous progressive metal track. It kicks off with amazingly tight rhythms. Cool electronics and frantic changes ensue, the staccato riffs are something to behold. This crazy instrumental virtuosity might seem a little self-indulgent but this is what Haken do so well and it always fits within the song. Next is “Puzzle Box” which has the band playing as fast as they ever have. You also get soaring choruses, classic Haken vocals and even a dose of electronica with DJ scratching. Plus, the gentler sections further enrich the vast dynamics this song possesses. With “Veil”, the disc’s longest track at over eleven minutes, the band is on fire. Talk about insanely changing rhythms, amazing guitar solos, head turning tempo changes, soaring vocals and dramatic synths. The changes are abrupt, even venturing into jazzy piano bits, but make total sense within the confines of the song. Trippy psychedelic lead guitar and moody atmospherics are also at hand ensuring this will be anything but boring. Just a fantastic track. More jaw dropping moments can be heard in “Nil By Mouth” where the staccato section will leave you breathless. You also get mellow atmospheres that build up into huge orchestrated soundscapes. “Host” begins with ethereal sounding flugelhorn and moody keys, quite jazzy in approach before the heavy dramatics and outstanding vocal arrangement take center stage. The disc ends with the high energy octane “A Cell Divides”. Off kilter rhythms pulse and weave as the band gets into a great progressive metal workout. Softer sections allow for more dramatic build ups. The second disc is all the same tracks without vocals. This one lets your ears completely focus on the immense instrumental talent this band possesses. Vector is an excellent album that has the band brimming with creativity and trying new sounds yet sticking with what they do best….making great music. An Inside Out Music release.